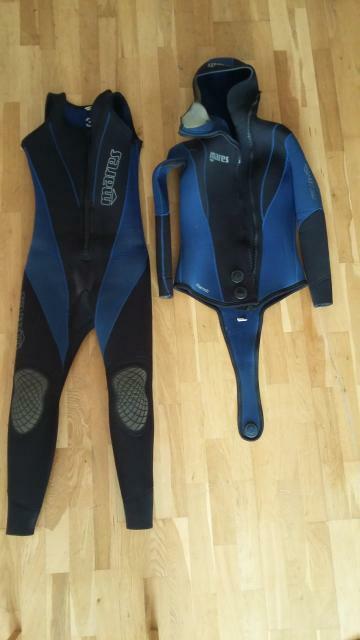 Short description MARES Wetsuit (semi-dry) for sale. Great quality and super comfortable in the water. Additional information Suit comprises a 7mm Long John with a 7mm jacket with integrated hood. Size small - fits me, average build male height 5'6" but would likely fit anyone from 5'2 to 5'8"
Short description: MARES Wetsuit (semi-dry) for sale.